This article is for Rollo Model X1036. Your Rollo model number is located on the bottom side of your printer. If you have X1038, please refer to this article instead. 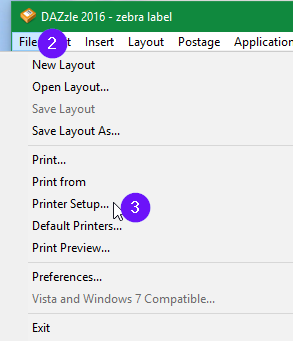 Set your Printer and Label Values as Shown. Click on "Test Print". If all looks good. 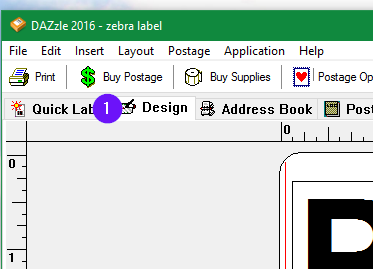 Click on "OK"
Note: Due to a software bug on Dazzle, "Quick Label" does not produce 4 x 6 labels. Please create your labels from the "Design" tab. The Design tab would be the correct route. You would need to change layouts on the Design tab as you change for a Domestic address to an international one, or an APO . 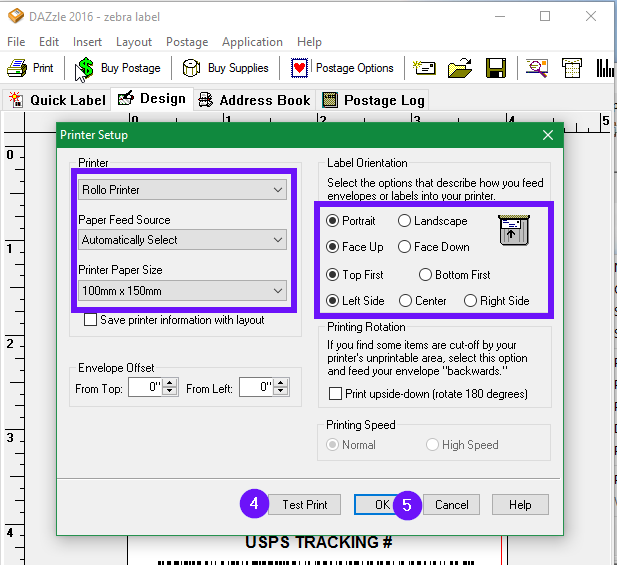 The main reason for the Quick Label tab was to shield users from the need to change label layouts, Dazzle changes the layout based on the address and mail class. International Label - Small 6x4.lyt - for any International addresses.